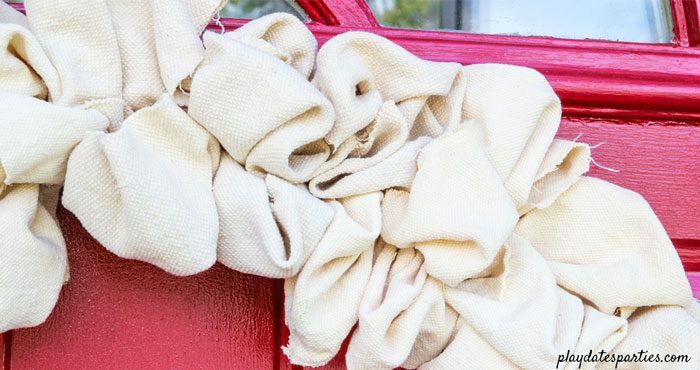 Learn how to make an easy canvas drop cloth wreath for your front door. 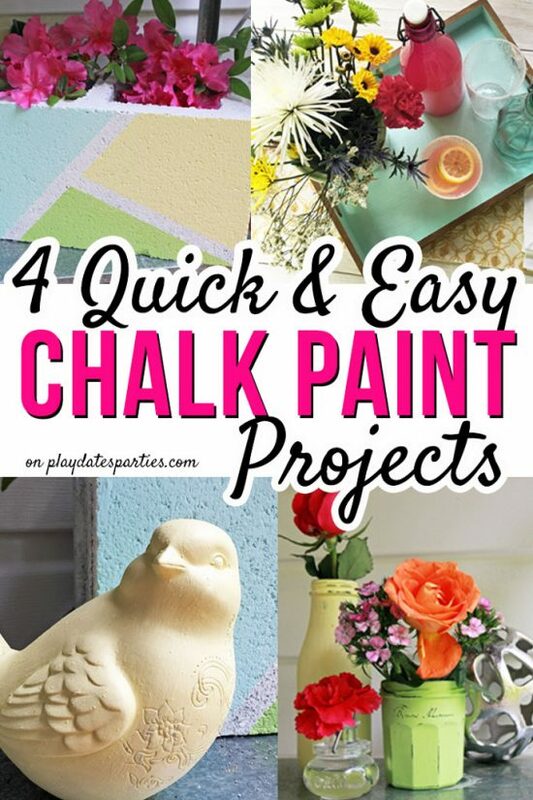 It’s the perfect easy DIY project to update for all seasons. The first time I saw our house, I told my husband I wouldn’t buy it. There wasn’t anything horribly wrong with it. It’s just that the house was so boring. White siding, white front door, black shutters, and a little bit of landscaping. But after scouring the neighborhood for other homes, this boring house ended up being the best option for what we needed at the time. So I did my best to add splashes of color to the front of the house with seasonal wreaths. But I was never fully in love with those either. Then, one day I painted our front door red. Bright red. Lipstick red. 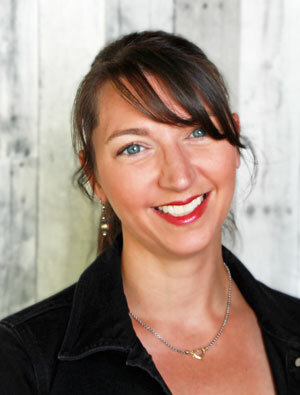 (Well, technically Heirloom Red by Valspar) And I loved it! Finally our house had a pop of color that really stood out from the street. Well, this year, I decided it was time to create a wreath again for our front door. But it needed to be something that can be updated regularly, is bright enough to pop against a dark front door, and has plenty of texture if I want to leave it out on it’s own. That’s when I remembered the leftover bleached canvas drop cloth from our master bedroom makeover, and with a bit more research (also known as playing around on Pinterest and in Google image search), I decided to make a DIY Canvas drop cloth wreath just like the cute burlap bubble wreaths that are all over the place. BUT, the problem I had was that most of the bubble wreath tutorials I found called for cutting out dozens of squares and then pinning or gluing them onto a foam wreath form. Friends, that just seemed far too tedious. So I came up with a different method, cutting the fabric into strips and then pulling a little bit through a wire wreath form instead. Are you ready to make your own? Let’s get started! Fold your canvas drop cloth into four layers, matching up the outer seams. Cut the outer seam off of the drop cloth. Don’t forget to double check that all of the seam is cut off on all the layers of the drop cloth. Cut the drop cloth into 8 strips, roughly 6-inches wide. Don’t worry about being perfect. Holding one of the fabric strips in your hand, gather the end together and wrap it with floral wire. Push the end of the fabric strip between two wires of the wire wreath form and secure the strip to the wreath form with the floral wire that was wrapped around the end. Weave the fabric strip through the wires of the wreath form until you get to the point where all the fabric is underneath the wire wreath form. 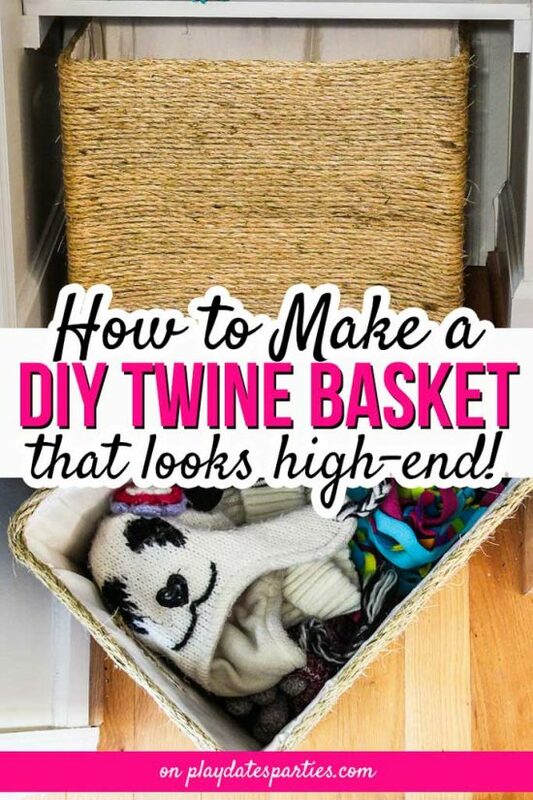 At this point, you can start to just poke the fabric through the wires in the wreath form, making sure that you push each bubble against the previous row. When you get to the end of a fabric strip, wrap some floral wire around the end of the fabric strip and use the floral wire to attach it to the wreath form. Repeat steps 4 through 8 until your wreath is completely covered. When you’re done, you can go back and push in the visible edges, or (if you’re like me) you can gently pull on the raw edges to make it more rustic and natural feeling. If you purchase a larger size drop cloth, you may encounter a seam within the fabric strip. 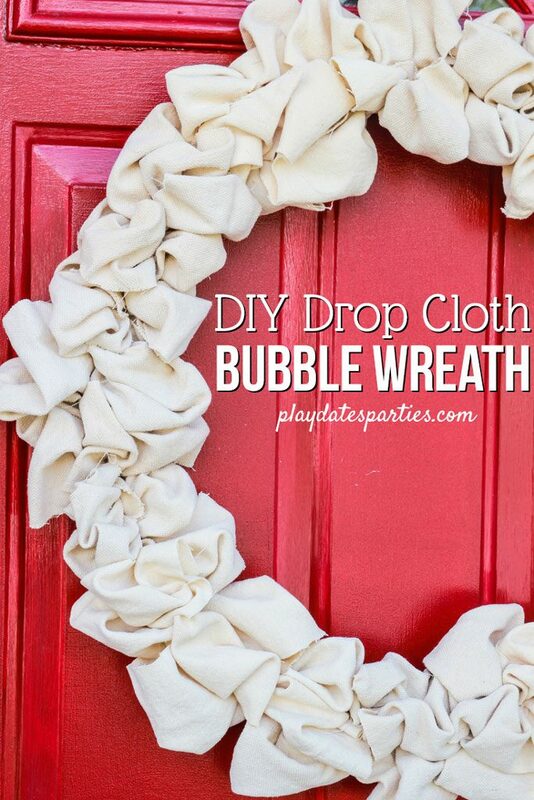 Try your best to make the bubbles so that the seam will lie on the underside of the wreath. 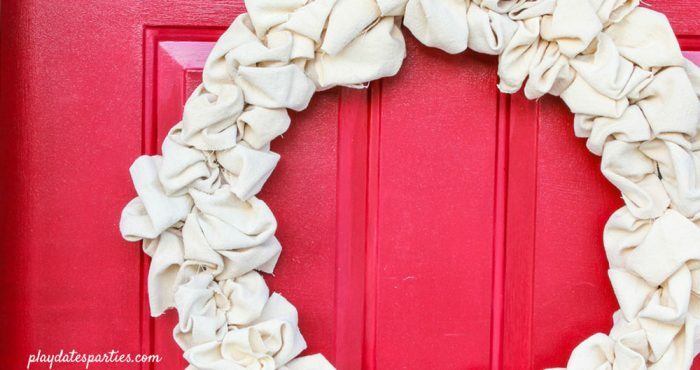 How would you update a drop cloth wreath for fall or the holidays? Would you put a neutral wreath on your front door?